In the prevention of dementia plants and herbs that contain antioxidants have a beneficial effect on our central nervous system, improve circulation and relieve the unpleasant tension, and certainly relieve the stress. Learn how to improve memory and concentration just by using these herbs and also learn to identify basic symptoms in time. 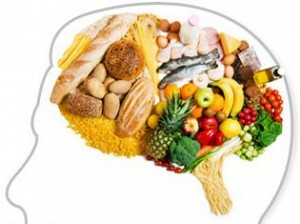 Below find out which foods should be given more attention, to feed our brain and prevent early memory loss. Memory loss, especially the short-term one, usually tied to age, but recent studies have shown that forgetting is not closely related to our age, which is confirmed by the fact that the answer to the question of how to improve memory, are increasingly sought after by young people, who even in the twenties and thirties are facing short memory loss. Seemingly innocuous forgetting names or phone numbers can be very serious symptoms of dementia, and Alzheimer's disease, the causes of which, despite numerous studies, have not yet been precisely determined. Stress, worry and anxiety may cause temporary memory problems, like depression, but it greatly contributes to modern technology - cost to computers, tablets or mobile phones to "remember" things that many do not bother to remember important information, but they gradually lose the ability to distinguish the important from the unimportant. The use of alcohol and drugs, consuming foods that contain a lot of saturated fats, smoking, high blood pressure and lack of physical exercise and sleep also have harmful effects on brain cells. Studies have shown that older people who live healthy often have better memory skills than much younger people who are very sedentary, like to enjoy fast food and most of the time they spend on a computer monitor, and it is no surprise that more and more often seek a solution to improve memory in learning, and the like. In addition to physical activities and games that "train the brain" like crosswords or Sudoku, proper nutrition is the first step towards the prevention of memory loss. If in your daily menu include fresh leafy vegetable that are very healthy or peanuts or grains, you will definitely enrich your organism with valuable folic acid, the lack of which may endanger the health of brain cells and blood circulation in the brain. Cauliflower, cabbage and soybeans in are in the first place, because they contain choline, which is important for the functioning of over a hundred billion neurons in the brain - some of them help us to hear or see, while others are responsible for thinking, learning and memory. On the other hand, vitamins C and E and beta-carotene are natural antioxidants to help fight - neutralize the harmful effects of free radicals, which damage brain cells and are one of the main causes of Alzheimer's, and Parkinson's disease. As they are one of the best at preventing loss of memory contain antioxidants, have beneficial effect on the entire nervous system, significantly improve circulation and eliminate unpleasant tension and stress. If you do not know how to improve concentration and memory turmeric and oregano offer a solution. In addition to the preventive benefits against cancer, recent studies show that turmeric is effective in preventing Alzheimer's disease. The active substance which contains the plant neutralize the effects of free radicals. Regular use of turmeric balances the mind, improves circulation in the legs and hands and has a very positive effect on neurons, and only one gram a day significantly accelerates memory. On the other hand, wild oregano enhances the supply of oxygen to the brain, and it contains more antioxidants than blueberries, which is known as brain food. Studies have shown that just smelling rosemary significantly improves concentration. This plant contains more than twenty antioxidants, including ferulic, and carnosic acid. The essential oil of rosemary improve circulation and blood flow to the brain. In addition its leaves are used to prepare tea, rosemary can be used in shampoos and baths, because its useful ingredients are absorbed through the skin. The tea is prepared by two teaspoons of rosemary leaves cooked for 2 minutes in 1.5 ml of water. Filtered beverage is drunk twice a day. This soothing tea is extremely rich in antioxidants that successfully destroy free radicals and prevent the formation of dangerous blood clots, cancer, and many cardiovascular diseases. It also preserves the health of the brain and protects it from damage, prevent premature aging and withering away of neurons. It contains all the essential vitamins B complex, C and E. It can be used as a preventive agent against memory loss, because it strengthens the cognitive function, developing memory and learning ability. Green tea is used not only as a preventive, but also as a natural remedy for memory loss. This plant contains magnesium, phosphorus, potassium and zinc, and vitamin B complex, as well as C and D. Thanks to vitamin B3 and glycosides, it supplies the brain with glucose and improves circulation, acting as a stimulant. This is very important, because reduced glucose levels can adversely affect the maintenance of attention, as well as learning and memory. In doing so, the brain uses more glucose during severe mental tasks. If you are looking for a way to improve your memory, you will be sufficient to drink one cup of tea a day. Beside it you will maintain an optimal level of glucose (one tablespoon of thyme leaves and flowers are poured with 2 dl of boiling water). Although saffron is mostly used as a spice, giving dishes a specific taste, tea made from this plant can be used for combating stress and improve memory. Research has shown that saffron, thanks to its exceptional antioxidant power is very good ally in the prevention of Parkinson's and Alzheimer's disease. Tea made from these plants is made by the half-gram of saffron is put in 200 ml of cold water, and then wait to boil. Note: it is not recommended to use more than a gram and a half of saffron daily. The famous adaptogen has positive effects on general health and strengthens our central nervous system, and is strongly recommended for all who are exposed to more severe mental or physical exertion, such as students or athletes. Tea from the root of this plant, which is prepared by one teaspoon of dried root is poured with one cup of boiling water, helps the body cope with anxiety and stress, and is an excellent solution to improve memory and concentration while learning, etc. It contains vitamin C, vitamins of group B, amino-acid and estrogen. It improves circulation, regulates and balances the blood pressure and has positive effects on attention and concentration. In terms of exhaustion it significantly enhances the ability to work, but should be used by those who work under pressure and in conditions of tight deadlines. Lemon balm has long been known as a plant that sharpens the memory and has a positive effect on cognitive function. It acts as an antioxidant, and valuable essential oil has a very positive effect on the part of the brain that controls the nervous system, and therefore improves the activity of all the senses. It stimulates brain activity, improves concentration and improves memory. Since it is an adaptogen, lemon balm helps the body to adapt to stressful situations and relieves depression. The tea is prepared when the teaspoon of dried lemon balm is poured in a cup of boiling water. Apricot, peach and quince are rich in beta-carotene, which stimulate cognitive function. In addition to fruits which are best eaten in raw form, tea blends with their leaves strengthens concentration. Mix one tablespoon of dried leaves of three fruit trees and pour with half a litre of boiling water. In the same way make tea from the bark of the apple, which among other things contains calcium, magnesium and vitamins E, C and B, and improves brain function and is an excellent choice to improve memory. Ginkgo biloba has long been considered to be a plant that stimulates cognitive function and prevents loss of memory, especially in the elderly people. However, recent scientific studies have shown that this remarkable plant, despite positive effects on the entire organism, there are no specific effects on memory or attention. Also, researchers found giving ginkgo is useless for people who are newly diagnosed with Alzheimer's disease. We hope you found the answer, and that you learned how to improve memory and concentration, recommend is article the best food for the brain.